Xiongan New Area is set to become China's high ground for financial innovation and opening-up, as the country pursues its ambition to build Xiongan into a model of high-quality growth, analysts said. 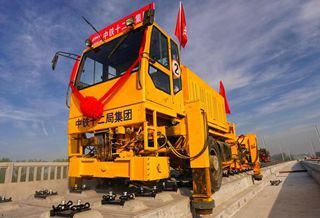 "We will promote cutting-edge policy measures of reform and opening-up across various fields and carry out forward-looking, innovative pilot projects in Xiongan New Area," a guideline released on Thursday said. By promoting all kinds of innovation, Xiongan aims to explore a new route to high-quality development that the whole country can follow, according to the guideline, which was jointly issued by the Communist Party of China Central Committee and the State Council. As for the financial industry, the guideline said that Xiongan will "take the lead" in putting the newest research results in financial technology, or fintech, into practice, and build a high-standard fintech center. Innovative financial services, such as the securitization of intellectual property assets and equity crowdfunding, will be encouraged in the new area, it said. Xiongan will also encourage private financial institutions based in Beijing to expand into the new area and will build a college to train high-quality professionals to work in the capital market, the guideline said. The new area, about 100 kilometers southwest of Beijing, spans three counties in Hebei province. "The measures will not only help build an efficient financial system in the area but will explore the road map of financial reform for the country as well," said Hong Rong, founder of investor education platform Hongda Education and an MBA tutor at the Shanghai Advanced Institute of Finance. For instance, by creating a favorable business environment for private financial institutions to thrive, Xiongan has the potential to become "the most vibrant financial center" in China, Hong said. Such a success would encourage similar reforms in other regions, and help solve the bane of China's financial system－price distortion－thereby unleashing great economic growth potential, Hong said. In the country's current financial system, private institutions play a much weaker role than their State-owned counterparts, even though they are more efficient and innovative, Hong said. Luo Wei, an associate professor at Peking University's Guanghua Management School, said the area's efforts to introduce the securitization of intellectual property assets－where IP assets are pooled and back up the issuance of securities－can help boost innovation-driven growth. "The mechanism will help to more effectively set the price of IP assets, which will encourage research and development by innovators," Luo said. The new area will also uphold a high level of financial opening-up, in line with its role as a "pioneer" in China's overall transformation, said Liu Chunsheng, an associate professor at Central University of Finance and Economics. Liu's remark was based on a slew of financial opening-up measures outlined in the guideline. "The area will support the establishment of wholly foreign-owned and joint-venture financial institutions, and widen or remove ownership caps as soon as possible when conditions permit," it said. The area will also allow qualified investors to set up equity funds investing in overseas companies, the guideline said.